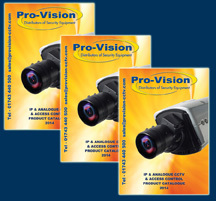 Pro-Vision, the Shropshire-based distributor of security equipment has recently launched its latest 180-page product catalogue (dated February 2014), covering branded CCTV and Access Control equipment. Simon Davies, Internal Sales Manager for Pro-Vision said: “The 2014 edition includes the Mirasys and NVT IP range, the new 960H analogue range from Bosch, popular monitor brackets from B-Tech plus a comprehensive listing of Access Control equipment including Aiphone, BPT, Nortech, PAC and Siemens. 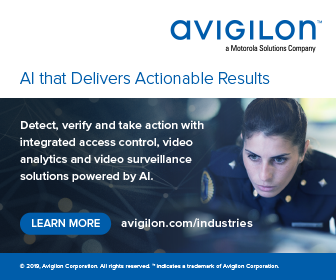 “Our new catalogue features over 50 pages of branded IP products to satisfy the increasing demand for equipment that uses the IP protocol for transmission. Due to the extensive range of equipment we can supply the catalogue can only provide the UK installer with a ‘snap-shot’ of the vast number of products available from Pro-Vision. With images, product features and improved descriptions the catalogue gives an indication of what each product can deliver – and if any further information is required we can always supply the relevant datasheet.